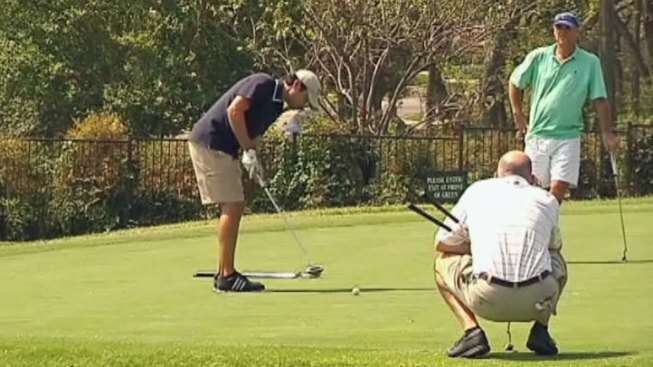 People living near the Lakewood County Club could be hearing "fore" once again. The golf course reopened to members Tuesday, three weeks after a massive hailstorm punched thousands of divots in the course. "We're happy to be out here, and we had a great round, and the weather was perfect, too," longtime member Mary Farr said. The course closed June 13 after hail pummeled countless holes into the golf course and damaged the club's exteriors. 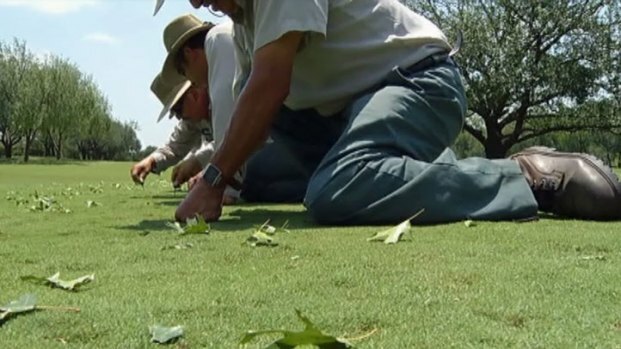 Crews at Lakewood Country Club had to make repairs to hail divots in the greens on their hands and knees. "When we heard about the hail damage, it just made us sad, because we know how hard the staff works to keep the course beautiful," Farr said. The court pros and maintenance crews have been working nonstop to the get the greens and fairways back to playing condition. 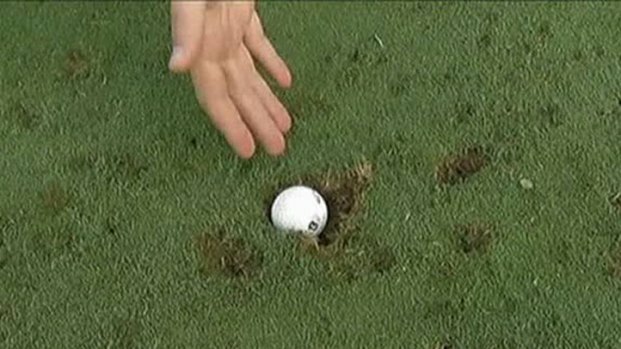 Crews were on hands and knees, divot by divot, to repatch the club's 18 holes. Ken Renwick, a member for 34 years, said he would never forget the sight. "It looked like a bunch of armadillos digging in the greens, and it was just really a mess, and they really did a good job getting them back," he said. The country club will indefinitely limit play to members while it tries to slightly reduce traffic to protect the greens. "We had a lot of fun, and there were only a couple of spots that are not up to par, but the rest of them are in really good shape," Renwick said. Management were still working with insurance adjusters Tuesday afternoon and hope to be back in the full swing of things by the fall.